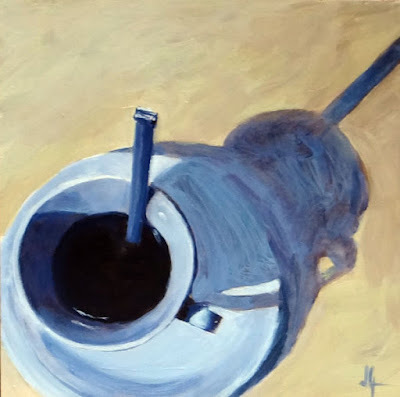 diana lynn's painting a day: Coffee Anyone? Yummy! I like that you explain how you got the color black; the finished product (the actual coffee) looks thick--like it holds the consistency of a fluid, rich cup o' joe. Lovely! Thanks Amber Laura for your colorful comments! I wonder if us coffee drinkers like all coffee paintings? So glad you are liking them.